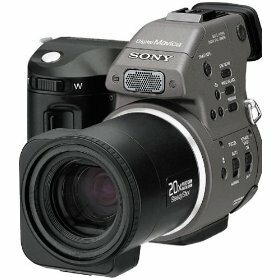 I loved/still love this camera. It saves to memory stick and floppy...it was easy to share pics and upload. I have had many cameras since but still think the macro on this camera is the best one yet. I paid 400 plus. It's big and bulky but still takes amazing pics. The Sony Mavica range was interesting in that they stored images on floppy discs (remember those!). This had the benefit (at the time) that you could simply whip out the disc, and slot it into your computer - hey presto, a simple way to upload images! Of course, as images got bigger, and computers more advanced, two things happened. First, the floppy disc no longer had the capacity to store higher resolution images. So, memory cards replaced them. The memory stick floppy disc adaptor helped in this regard. Second, floppy disc drives disappeared from computers. Not so easy to upload pictures.